Last week, we focused on volunteering and how it has become so much more than the shallow piecemeal often offered by travel companies in decades gone by. This week, we will explore eco-tourism on Taveuni and how it also helps improve the livelihood of island communities. Taveuni is the third largest island in Fiji after Vanua Levu and Viti Levu with a total land area of 435 square kilometres. It has abundant flora and is known as the Garden Island of Fiji. Lake Tagimaucia is one of Taveuni’s most famous tourist attractions and is the habitat of the rare tagimaucia flower. Fiji’s most famous waterfalls, the Bouma Falls, are also on the island, located in the Bouma National Heritage Park. About 20 minutes by foot from the town of Waiyevo is the Waitavala Waterslide. This entirely natural streambed chute plummets for about 50 metres down the lush hillside and is a favourite haunt for local children and brave tourists. Many of Taveuni’s best known attractions lie underwater though. There are three major, distinct diving areas around the island. 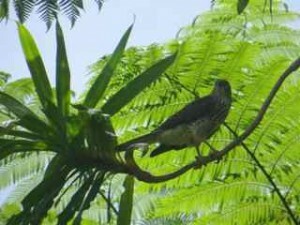 Taveuni is also home to the Taveuni beetle, orange dove and the kula parrot, and the Australian magpie, which was introduced to control coconut pests, has proliferated on the island. To protect Fiji’s wildlife, two sanctuaries have been created on the island of Taveuni, namely the Ravilevu Nature Preserve on the east coast, and the Taveuni Forest Preserve in the middle of the island. Playing a part to the conservation of these natural resources, tour operator Island Spirit, is working alongside its partner organisations and local and international experts to support local businesses and communities in marine awareness, sustainable development initiatives and resource management for the good of island ecosystems and the future generations of Fiji. The Taveuni-based operator aims to provide inspiring and fulfilling visitor experiences through connecting its guests with nature and engaging with local communities. Ms Barnby, who is originally from the UK, believes it is possible to run a business that benefits local communities, guests and workers — a mission she has set out to achieve. “Call it what you want, a virtuous circle eco-tourism strategy, a bottom-up approach to sustainable business or simply real eco-tourism, it doesn’t matter, what does matter is how it is done and that is what I dedicated myself to doing well,” she said. Ms Barnby has extensive knowledge in the charity communications arena both in Fiji and the UK. 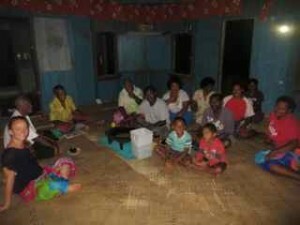 She volunteered with Partners in Community Development, Fiji (PCDF) for nine months in 2009. Her time with PCDF was spent developing the annual report, newsletter, public relations communications training and website. This gave her a valuable understanding of development issues within Fiji and what environmental and community challenges lie at the grassroots level. From there, a mixture of continuous work and opportunities led her to start her own business. Ms Barnby started Island Spirit based on a few simple principles — mutual benefit for both the Fijian people and visitors in the form of conservation, economics, education, life experience and enjoyment. 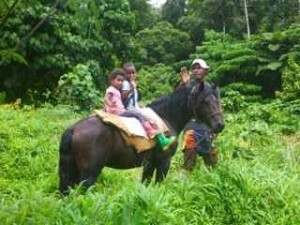 “We know all about Taveuni so you can let us take the lead and design a holiday just for you. 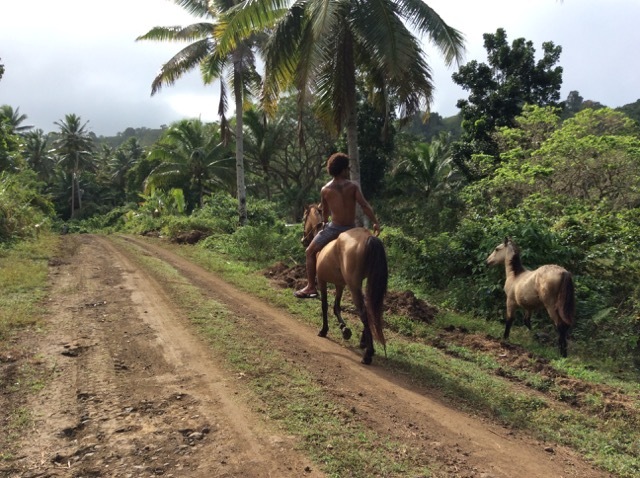 The great thing about Island Spirit here in Fiji is that it fulfils both community initiatives and conservation objectives. People are generating direct economic benefits from wildlife management which change individual livelihoods through jobs and income,” she said. She said those projects benefited the larger community. “So there is a direct incentive to keep the environment healthy and uplift the community. The most important thing is that the people living with wildlife are getting direct benefits from that wildlife. One of the company’s business objectives was to change the way holidaymakers viewed vacations. “We aim to work alongside Fijian communities to share skills and carry out sustainable, environmental and community based projects with sensitivity to local values and tradition,” Ms Barnby said. Their goal, she said, was to provide a unique, high quality and authentic experience suitable for a range of eco-conscious individuals. “We believe we can help conserve the local environment and provide a steady income for local tourism businesses while inspiring visitors to make a positive difference throughout their lives by introducing them to volunteering in the rich Fijian culture,” she said.